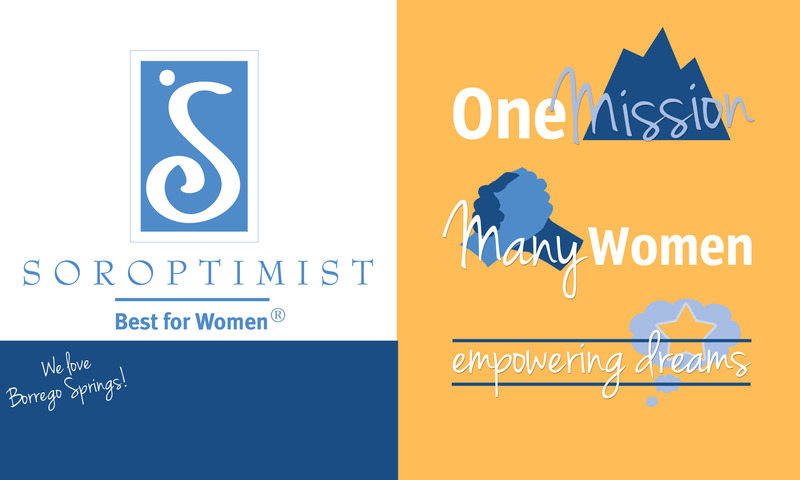 March 26, 2019, 5:30-7:30 p.m.
Join Soroptimist International of Borrego Springs for a hosted THANK YOU happy hour to all women of Borrego Springs. You’re invited to the Steele/Burnand Anza-Borrego Research Center for wine and appetizers on March 26, 5:30-7:30 p.m. This event is free and open anyone who wishes to join us. Click here to RSVP on the Facebook event!